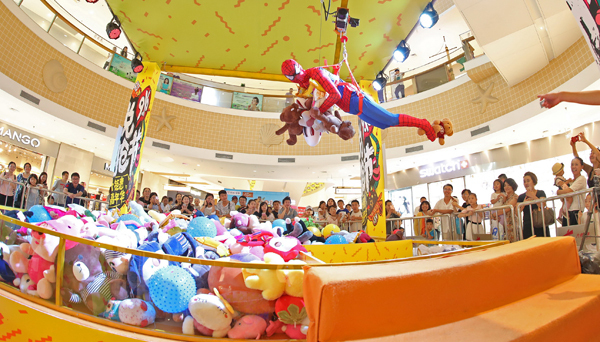 To popularise claw doll grabber machines, "reality games" are enacted at malls to demonstrate the fun. At the Joy City shopping mall in Yantai, Shandong province, a consumer, suspended by a crane mechanism, doubles up as a doll grabber. Doll dispensers at public spaces show potential to emerge as a lucrative trade.